Update: We’ve moved to MailChimp. Hurray! You can see the email that was sent out here. 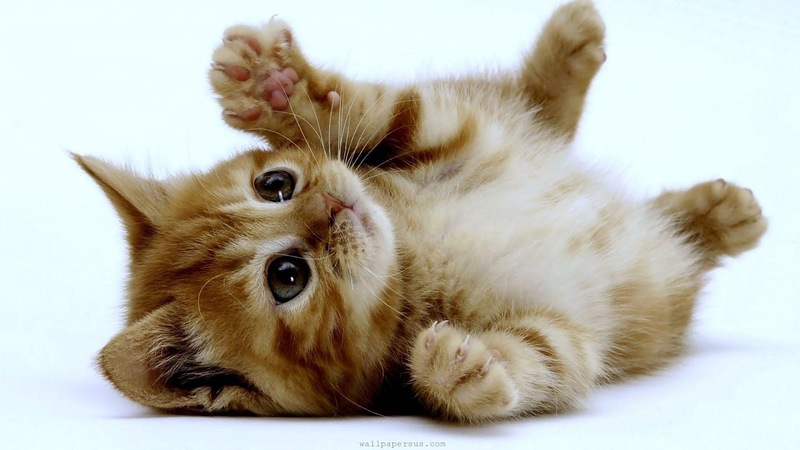 Howdy folks, we’ve had an issue with the newsletter here on this lovely Sunday morning. Seems that there’s some network issues and just about every provider bounced the email. 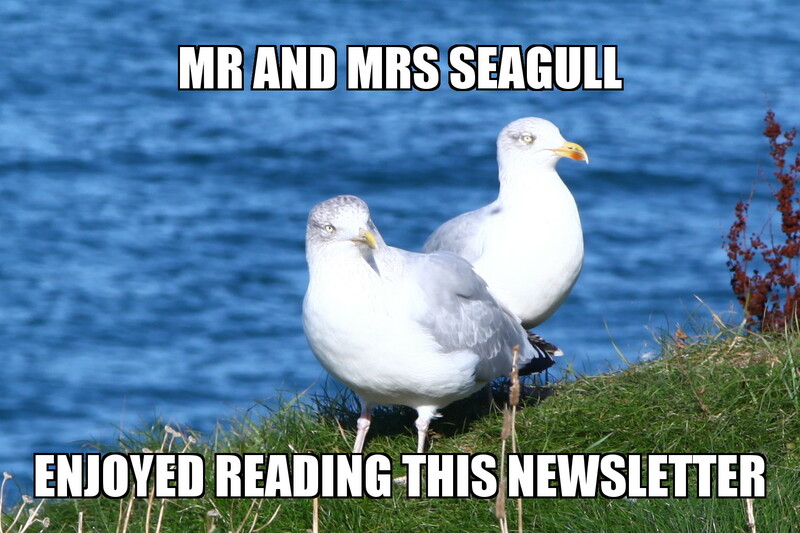 Could anyone who sees this post who is subscribed reply below and let us know if they received the (email) newsletter? Given the number of delivery failures we’ll probably end up re-sending it and I don’t expect many replies, but thanks in advance! Apologies for the inconvenience- your patience while we sort this little hiccough out is much appreciated! In the meantime, have a picture of a kitten to keep you going. Special notice: We will be collecting food on Tuesday for Maryhill Food Bank as part of our food banks campaign. Please bring cans or packets of food to the meeting on Tuesday at 5PM. More info in This Week section. Thank you in advance. Goodness gracious me, it’s the second meeting of November already. This semester is really flying in. Human trafficking is a huge subject which we’ll hopefully get the chance to return to at some point, otherwise hopefully everyone has had a chance either in the meeting or thereafter to see The Dark Side of Chocolate which we screened on Tuesday. There’s more info available on the website on human trafficking which is well worth a read if you want to explore the subject further; which I would strongly encourage you to do. Just a reminder or heads-up for those who weren’t at the meeting, there is a crafting / discussion session (provisionally) Sunday 9th November 5PM for a human trafficking demo / flashmob. This will likely be held in one of the committee rooms in the QMU. If you’re coming along please fill in the Doodle so we know how many to expect! Remember you can check our group for updates for these things- this is separate from our Facebook Page, so if you aren’t a member, please request to join. Lastly, there’s been a couple of gradual trends in the last couple of months: newsletters getting longer, and meetings starting later. These are both totally on me. There’s a lot of information to keep people up to speed on, so the newsletter can balloon; and wanting to start the meeting when there’s enough people arrived. With that ironically-lengthy prelude out of the way, on with the show! Facebook event: invite your friends for this one, we’re hoping to make the collection big! As I mentioned way back at the start of the newsletter, we will be collecting for Maryhill Food Bank this week. Basically this means we will have boxes at the meeting, and we would like to encourage you to bring food along for donation- preferably cans, jars or dried packets please! Beverages and toiletries are also useful; please see Maryhill Food Bank’s donations page for a list of suggested items. 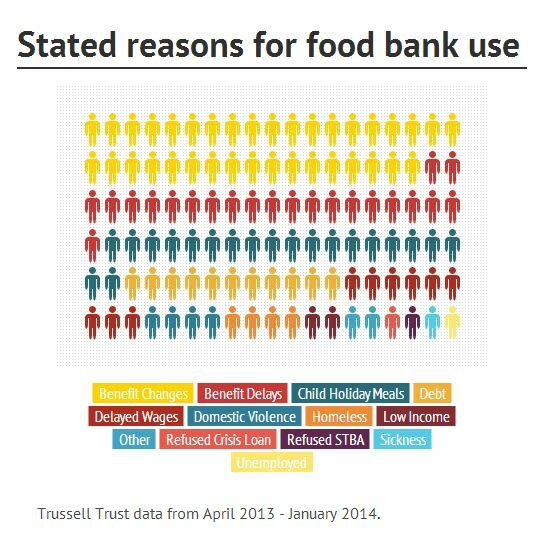 We will also be screening a documentary (Breadline Britain) to give an overview of poverty in the UK and how people can end up forced to rely on food banks. After that there will be a presentation from Rebecca and Seb on the subject. Breffni O’Connor will also be coming along to chat on food bank plans. I am really excited for this campaign and the immediacy of what we can do; I hope you guys are too. As I mentioned in the meeting, Sarah and I popped down to London last weekend to attend the 2014 Student Conference. As all the talks, workshops, campaigning and news could fill another newsletter entirely, we will come up with a way to properly and succinctly debrief you all! In the meantime, you can have a look at our Twitter feed for the copious live-tweeting that went on; or have a look at the #studentconf hashtag. If I could convey only one thing though, it would be that it’s a fantastic weekend and I regret waiting so long to go! Jamnesty Preview – With Games! So you’re all undoubtedly inviting your friends, family, coworkers, acquaintances and people on the street to Jamnesty 2014, telling them to buy tickets and spread the word further. But they’re not sure about the music, or how cool we are. Maybe they think it will be a night of proselytising? Well, you can allay their fears! We have provisionally planned a preview acoustic set in Scran in the QMU next Sunday (16th November). There’s a bar, there’s music, and there might be one or two (very casual) games to get you in the Jamnesty mood! Keep an eye on our Facebook page for an event and more details. Film screening with Earthmovies: ‘Blood in the Mobile’. Aside from Jamnesty 2014 (which you can buy tickets for! ), there are a few things coming up in the next couple of weeks which may be of interest. Claire Lightowler; Director of the Centre for Youth and Criminal Justice. Karyn McCluskey; Director of the Scottish Violence Reduction Unit. Mairi Damer; Ex-BBC radio producer and broadcast journalist turned communications trainer, media adviser & copywriter. Adele Patrick; Lifelong Learning and Creative Development Manager, Glasgow Women’s Library. Our speakers have been given free reign over what they talk about but we have suggested a theme of “What I would tell my twenty-one year-old self”. Everyone is welcome to come along and listen to our wonderful guests. We will be serving food and drink during the break. At this point, please feel free to mingle and have discussions with our speakers, members of Caledonian Women and any other interesting folk who you come across. Or see the event page on iamaleader.co.uk for more info. The SRC have decided to attend the National Demonstration for Free Education which is happening in London on November 19th. Free Education is something that we need to continue to obtain to ensure Universities are as accessible as possible for all. We will be marching with students across the country for a fair, free, and well-funded education system across the UK. There will be a pre demo meeting to talk out the plan of action for the day and to prepare for the demo. While we don’t officially endorse this demonstration it is a sufficiently important issue that everyone should be aware of, and we know that you are all capable of coming to your own conclusions on the issue. I mentioned this in a previous newsletter, but it’s worth bearing in mind. There’s now a Facebook event too! 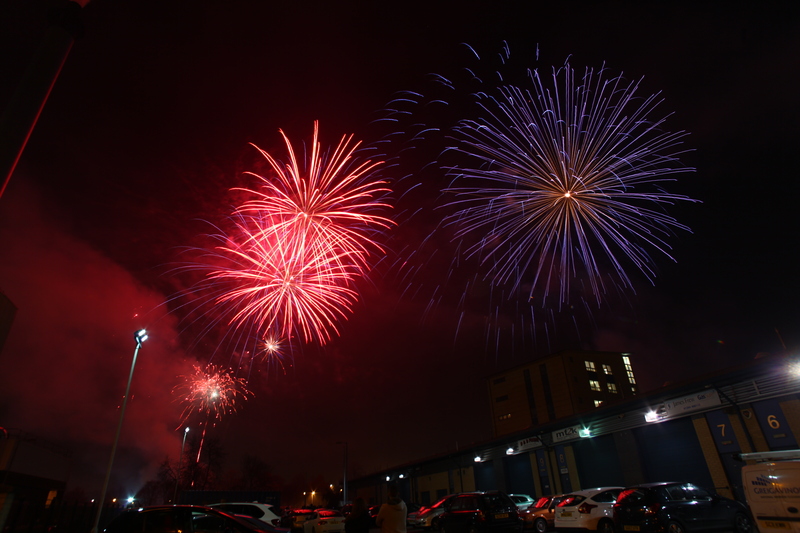 This, along with the rest of the set, was taken from a car park just beside Strathclyde Distillery. And now you know. Passing through a major station, wearing a back pack because you are on your way home, you are stopped and searched. No one else around you is searched or even appears to be considered. Why are you stopped? Is it because you have brown skin and fit a certain stereotype, you hope not. However sadly the police on duty has decided you fit the classic ‘terrorist’ description. Therefore your bag, instead of containing clothes and your reading for the evening, must be carrying some form of explosive. A woman was stopped and searched, her husband was left unquestioned and when she asked; ‘why did you stop me?’ The police officer replied: ‘well, obviously because you are black.’ She took it to court, stating that it was a violation of Article 14 of the Spanish constitution. However her complaints were discharged saying that it was not an issue of racial discrimination, but instead based on factual evidence that had showed that certain ethnic groups were more likely to commit a crime. Ethnic profiling is still used by both American and British police forces with no justification as is acts of prejudice within policing decisions, education and limited access for ethnic minorities. This breaks and breaches Article 14 of the American constitution and also the Humans Rights Act. In a discussion led by Dr. Marco Goldoni at our meeting on Tuesday 28th October, he outlined a few major issues of racial prejudice in law cases. As well as the issue of ethnic profiling, he explained that in most cases of racial differentiation your “identity is externally determined by external forces.” He used the example of slavery to explain this, as during this period African Americans were “assumed to be part of a certain work force” solely because of their racial identification. (Consider the situation in the film 12 Years a Slave). Even though law has declared a removal of prejudice, on all grounds of race (as well as gender and sexuality) this does not mean that laws can be twisted and prejudices can exist outside of the law. One situation, Goldoni explained, falls down to urban development. Take this an example: Imagine a high school is being built in a suburb to help with local education as there is a shortage of schools in the area. The school is built far enough away from the communities largely made up of ethnic minorities that it is not accessible by foot, instead you need to get a car or a taxi. How about if you cannot afford a car or a taxi? Public transport links happen to have been cut to this certain high school. With no available public transport, the new school, that is built in a leafy suburb, is only accessible to those with a certain level of income, as they either own a car or live in the surrounding area. This shows how public services can be limited by decisions based on prejudice in urban planning. The issue of race, Goldoni explained, is that it is always going to be a plural term and it will always depend on a hierarchy. This hierarchy positions ‘white’ at the top of the ranking, as a ‘clean’ and ‘pure’ race, declaring all others ‘impure’. The fact that this is even a topic for discussion shows that while it is the 21st century and people can talk to each other on the other side of the world through a computer screen, the Western world socially still has a long way to go. Notwithstanding the egregious howler of a typo that started last week’s emailed newsletter, I bring you yet another missive full to overflowing with words for you to decipher. Another round of thanks are in order this week. Firstly to Sarah and Alex for presenting on Tuesday. It was really handy to have an introduction to the history of race relations in the US as it set the context for what is happening in Ferguson (and elsewhere) succinctly. Well done to everyone who wrote a letter too- sending those off will surely have an impact; and the photos for #FergusonOctober show our solidarity. 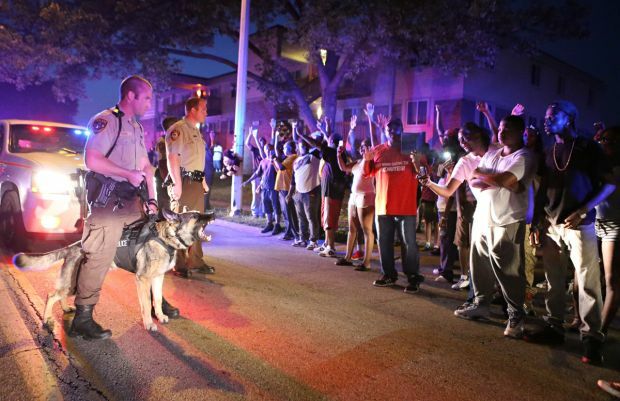 Have a look at Bex’s take on the Ferguson situation too, as it is definitely worth a read. Thanks too to everyone who helped out with the bake sale on Friday- with all the informative events we put on it’s easy to overlook the fact that we need some money to operate; so well done to all involved. We are planning to build on the work we did on Ferguson last week, with a guest speaker* coming to talk about case studies on injustice and racial discrimination. After that we are going to have a group discussion about cases to come up with new some letter-writing templates, which we can add to our list of resources. Given that we now know Ferguson is just one incident in a sea of many in the US and around the world which involves police brutality and racial discrimination, it’s important to shine a light on the others so that we can send a message that whoever it may happen it is not acceptable. The session should be informative and also practical, as the group discussion should illuminate how the letters that we (and Amnesty at large) write are composed. Come to Jim’s and test your knowledge in our pub quiz. Show off your expertise in equestrian, your panache for performance art or just your magnificence at multiple choice. Bring your reclusive genius mate to help you along, and your others as padding to laugh at when they miss a date by a couple odd centuries. 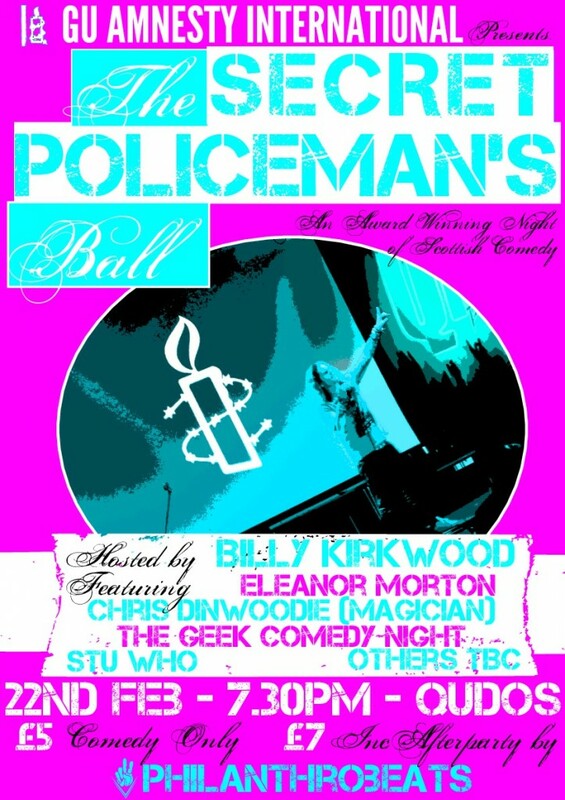 All proceeds from the night will go to Amnesty International UK. It’ll be a great night! 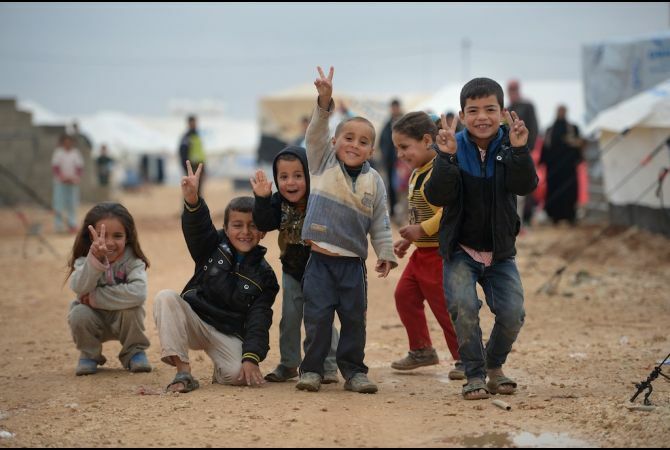 You may remember a previous update in a newsletter about the Coalition for Syrian Refugees. If not, then briefly it’s an inter-society coalition with aim of raising funds for and awareness of the plight of Syrian Refugees. GU Amnesty has been involved and none moreso than now. We’ve already had a meeting which included Oxfam, GRASS and UNICEF with the aim of organising and promoting a Syrian Week of events and information in January. The good news is that the SRC are considering officially endorsing the week! There’s still lots to organise and although January seems miles off by now it’ll definitely come rushing up- particularly given there’s a whole bunch of exams in December! So if you’d like to get involved please feel free to come along to the meeting this Thursday at 4PM in the Fraser Building and contribute to the week! With the groovy Jamnesty coming up in just under a month on Wednesday 26th November in Stereo, you might be wondering “where can I buy tickets for this awesome event?”. And the answer would be: right here! The ticketing system we used for the SPB is being redeployed to serve the needs of our gig night too. You’ll also be able to buy tickets from us in person, of course. Watch this space! If you have any other questions, please email [jamnesty@guamnesty.org.uk](mailto:jamnesty@guamnesty.org.uk]. In case anyone missed it (again!) last week, this is coming up this Wednesday. Ruth is looking for a few volunteers – more CV material! – so if you’re interested please email mail@conflictfreeglasgow.org.uk and let her know. With several interesting speakers, this conference co-hosted by CFCI Glasgow, GHRN and Global Security Network is a great opportunity to find out in a bit more detail what has been going on in the Congo and what the response has been. The event will be free and open to everyone, including all students and staff at the University, members of the Glasgow Human Rights Network and the Global Security Network, and anyone outwith the University who may be interested. The hope is that this event will provide an education to those who have little or no understanding of the on-going conflict in the DRC, as well as giving people from campaigning/academic backgrounds with a focus on the DRC or human rights and conflicts the opportunity to engage with a range of speakers who can discuss various aspects of international interventions. As I said last week it looks really great and I know that Ruth has put a lot of work into organising the event, so I would strongly recommend gong if you’re free at 4 on Wednesday 29th! You can always check out the CFCI Facebook page for more info and updates. Have a look at the Facebook event for the conference and come along! In case anyone is coming along to the student conference that we don’t know about yet, please get in touch and let us know if you would like to organise group travel with us. No obligation, but it would be nice to travel a group and if nothing else it’s good to know who is going! Maybe you’re one of the many people who have joined us in the last few weeks, or recently subscribed to the newsletter. I bet you’d love a recap of some of the things we’ve done so far, right? Even if you’ve been with us for years and years, everyone loves photos. So, since I got caught up with the last few weeks of photos this weekend, I can show you what has been happening since term’s start. – Our welcome meeting – standing room only! – A campaign – the Conflict Free Campus Initiative – that we started on a couple of years ago now has its own coalition and motion before the court- we showed our continued support by taking photos during Freshers Fair and our welcome meeting! You guys continue to rock. On 26th August 1963, Martin Luther King Jr. (MLK) addressed Washington D.C. and said the iconic words, ‘I have a dream’. He called for the country that was called the United States to become a united nation; a country that would allow both black Americans and white Americans to sit side by side and show mutual respect. On the 9th August 2014, 51 years after MLK said the iconic words, that dream is sadly still shown to be a pipe dream. While African Americans in terms of legality have a voice, in local government that voice is still that of a second class citizen, under-represented and not heard enough of. The recent events in Ferguson in the aftermath of the shooting of teenager Michael Brown has brought this to light. In a community that is 67% black, in local government that representation does not equate; the city council has a mere 17% of black representatives, with a white mayor, and the police force is even lower at only 6%. Over here, such inequality would contravene the human rights act article 14, which demands that all human rights be’ exercised without discrimination’. I find it difficult to believe that African Americans simply just don’t want to be involved in local government. It is sad to see that in a progressive and forward thinking country that prides itself on the American dream, that the dream of MLK has still not been held up and that racial prejudice is still widely seen. The appointment of Barack Obama indeed shows how far the country has come, however due to the recent breaches of the First Amendment (which includes the right to peaceful assembly; here implemented in the human rights act under articles 10 and 11), it is apparent that the dream that MLK called for in Washington DC is still one that needs to be fought for. Therefore it is important that we at Glasgow University Amnesty Society still stand with Ferguson and fight for fair sentencing of Police Officer Darren Wilson in January, greater racial equality and continue to hope for the dream that MLK outlined half a century ago. With the human rights acts, it is not a case of picking and choosing for certain individuals, if someone is human then these are the acts and they should not be breached. Newsletter 2014-10-12: Election Results, Upcoming Events and CFCI Update! And my deep regrets to those who stood but were not elected- please don’t be too disheartened, we definitely still very much want and appreciate your input over the coming months! The main AGM will take place in the second semester for those interested in standing then. I hope you will be just as keen! Thanks to everyone who helped making the banners for the death penalty demo on Friday; and my apologies for the confusion over the crafting session- due to issues with room bookings we decided to use the banners we already had plus the two that were made on Tuesday. A big well done especially to those who braved the intermittent showers to get all the #notodeathpenalty photos on Friday! If all the death penalty campaigning has piqued your interest and you have ideas or want to get involved give us an email at campaigns@guamnesty.org.uk. The film deals with the case of Mumia Abu-Jamal, convicted in July 1982 of killing a police officer. The title comes from the day in December 1981 of Abu-Jamal’s arrest- the day Will Francome (creator of the documentary) was born. We’re lucky to have Will Francome joining us via teleconference after the screening too. It should be a very good watch! More information and join the event: https://www.facebook.com/events/721239527960240/. Rounding off our look at the death penalty (for the time being) will be this debate conducted by the Dialectics society. Join us for a discussion of how the death penalty is used internationally in what promises to be a very informative look at some of the issues surrounding extrajudicial killings, war crimes and mob justice. Get more info and join the event on Facebook! Another quick reminder about the student conference coming up soon. We’ve got a few folks confirmed as going, so do get in touch if you want to come along! It’s a two-day dive into what Amnesty International is all about: campaigns, actions… and meeting and socialising with other groups! Although the registration fee costs £20, we can apply to the SRC for a reimbursement on that so keep those receipts! There are workshops, campaign actions, discussions, socialising and much more. 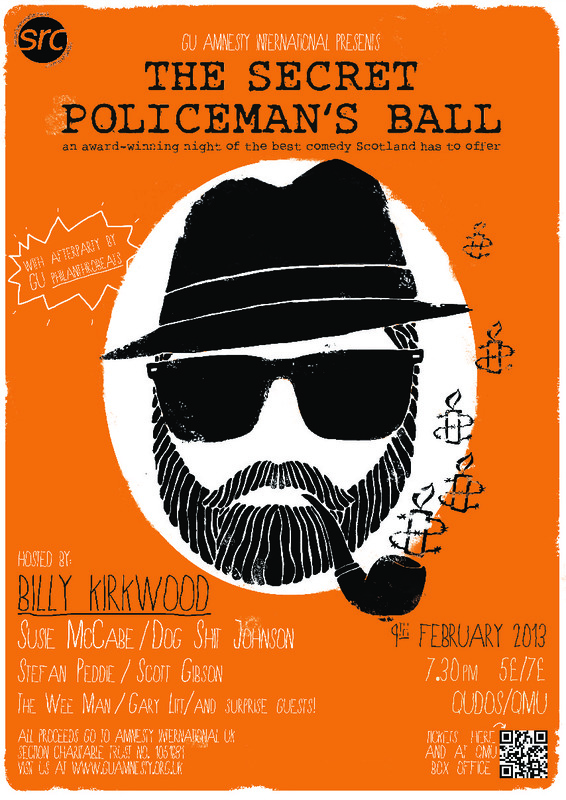 Let’s not forget we have an award to pick up for last year’s Secret Policeman’s Ball! Please let me know if you are interested in coming and we can try to make travel plans for the group. Places go quickly so don’t delay! More information and booking link are available on the student conference page; if you are travelling down please let me know and we can book something all together! Since there was interest in GRASS last week after Kit filled us in on some upcoming events (Thanks Kit!) I thought it would be worthwhile to give a few more details for those that might be interested in what’s happening and the great work that they do. At Glasgow University, we use our position as a university society to help asylum seekers and refugees in the best ways we can. As Glasgow is a distribution centre for refugees, a strong network of support for arriving refugees and asylum seekers in Glasgow is really important. GRASS began in 1999 and has been working to improve the lives of refugees ever since. You can find them on Facebook and their website is pretty informative for things like past and current projects. Also on Facebook is the event page for their Pub Quiz which Kit also mentioned. The annual sleep-out returns! GU Amnesty has long been involved in these and they’re a really good way to raise both money and awareness. Basically the idea is to meet up with sleep gear (bags/mats/etc), hang out for a bit in the evening to chat and listen to the music and/or theatre sketch (latter TBC!). Unfortunately it looks like it won’t be possible to use the Wellington Church as a venue this year, which is a shame as it was almost ideal! Despite this it will be going ahead in a couple of weeks, so dig out the sleeping bag and get sponsored! Domi and Milia have been working hard to get things sorted out for Jamnesty in November, which is already shaping up to be a fantastic night! We’ve a number of options for venues, and the line up of acts is looking good. If you want to get involved there’s still time, just email jamnesty@guamnesty.org.uk. As mentioned last week the SPB organisation is truly getting underway. Billy is totally on board with the plans and also wants to make this year bigger and better than ever! Duncan will be organising another meeting of the SPB subcommittee this week – likely to be Monday afternoon – for those coming on-board (such as those who signed up on Tuesday- thanks to you guys! ), so keep an eye on Facebook for the details on that. If you want to be involved, either get in touch via FB or email spb@guamnesty.org.uk. The Conflict-Free Campus Initiative has been a campaign GU Amnesty has been at the heart of for over two years. Briefly, it aims to change University purchasing policy to favour electronic items (PCs, laptops, tablets etc) which are produced in a ‘conflict free’ way. This means that, for example, the minerals such as gold, tin, tantalum and so forth are extracted and traded in a way that doesn’t result in millions of deaths. You can read more about the background of the CFCI, conflict minerals and what’s being asked asking for in our petition or the other information we have on it. It looks really great and I know that Ruth has put a lot of work into organising the event, so I would strongly recommend gong if you’re free at 4 on Wednesday 29th! You can always check out the CFCI Facebook page for more info and updates. Our friends at the wonderful Glasgow West Amnesty group are putting on their annual comedy night, which is coming up on the 22nd of October. I’ve been to these before and it’s a great laugh! More info is available on the event listing page, and you might want to check out Glasgow West’s page as well. This week the newsletter comes to you from Sandridge Barton, near Stoke Gabriel in Devon. 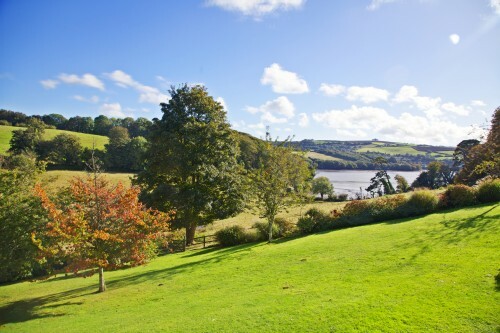 Reflecting those environs, I will leave you simply with a photo facing down to the River Dart. Enjoy. 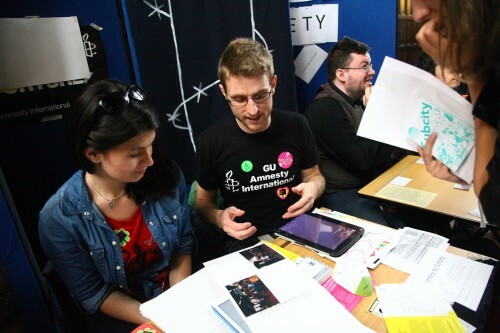 Newsletter 2014-09-20: Welcome to GU Amnesty! Wow, what a week! A most warm welcome to folks new to the newsletter and the group, and thanks to everyone who came by the Freshers’ stall and those who took part in the CFCI petition- it was very heartening to hear from so many keen people! Thanks to all the people who helped with the stall too, you rock. So as a busy Freshers’ Week 2014 draws to a close, it’s time for me to make good on the promises made at the stall and to give details of the first meeting of 2014-15 and some information on what’s coming up in the next few weeks. I’ll try and keep this first newsletter of term short! 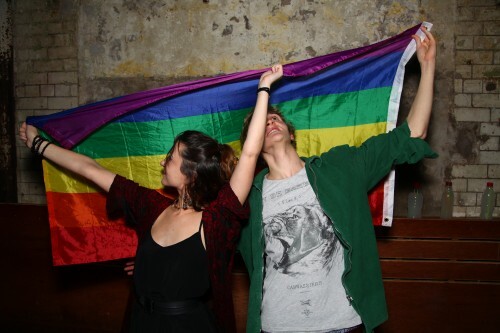 Tuesday 23 September: First Meeting (and Social) – Who are GU Amnesty? Our first meeting of the year! 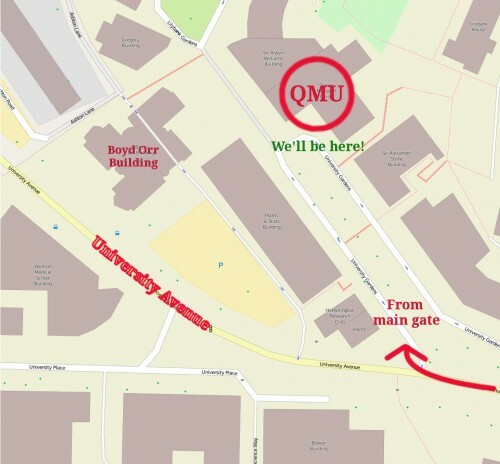 Come along at 5PM to the Queen Margaret Union on University Gardens (just at the bend), then take the lift or the stairs (both straight ahead of you as you come in the door) up to the third floor, turn left and enter the first room on the right and you’ll find us there. We are fairly laid back, so if you cannot make it for 5 or have to leave early that’s quite alright. 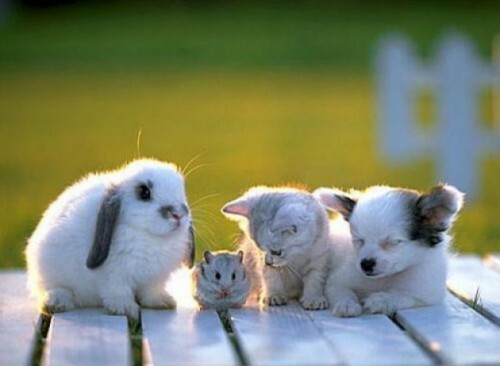 Just a heads up: we expect this meeting to be quite busy. Given the number of signups we had in the Fresher’s Fair we tried to book an extra room in the QM, but they were full. Please bear with us and if it is packed we do apologise; we will try to get another room for next week if this is the case. We’ll be doing a proper introduction to GU Amnesty – who the committee are, what we do, and what’s coming up in the next few weeks. Because we’ll be chatting about who we are and what we do at the meeting I won’t go into much detail in this newsletter, so on Tuesday you don’t get a repeat of what I’ve said. If you can’t make the meeting, the presentation I’ll be showing will be uploaded so you can peruse it at your leisure. Since there will probably be some questions at the meeting I’ll try and address those on here too. In the meantime though, you can find a comment I wrote about what a ‘typical meeting’ is on the website if you want to get a heads-up. If you aren’t sure of how to find where we’re meeting or have any other questions, please either email us or ask on Facebook or Twitter. 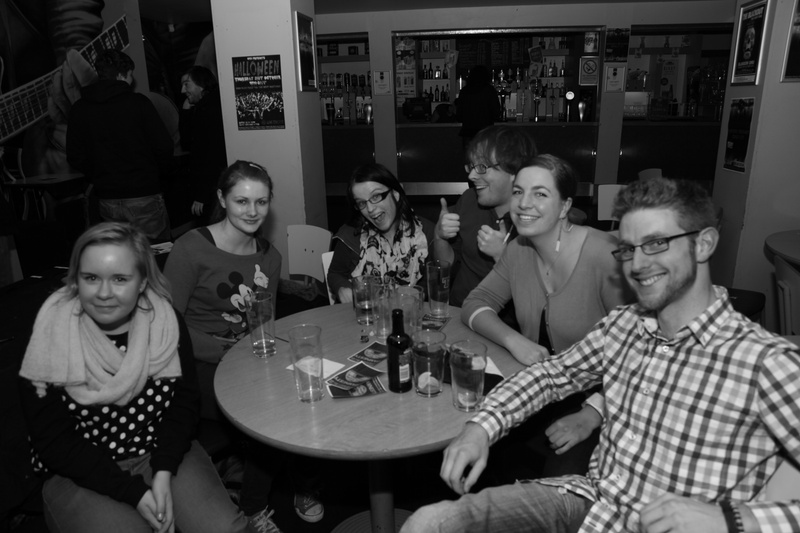 Welcome to GU Amnesty – First Social @ Old Schoolhouse! Following on from the first meeting will be our first social of the year. We’ll walk down after the meeting, but you are welcome to join us straight there if you can’t make the meeting. 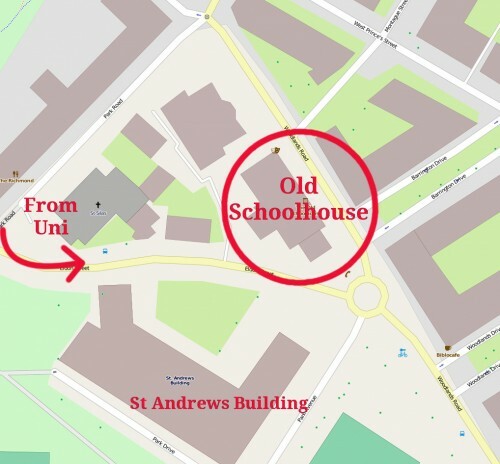 If you don’t know it, the Old Schoolhouse is on Woodlands Road just at the roundabout, across from the St Andrews building. Come along for a bit and say hi! One of things our members talk about is how good it is to hang out with Amnesty folks, and this is a great opportunity to do it. It’s also good to know the folks who will be be turning up to meetings, demonstrations and events. The Old Schoolhouse also does food if you’re feeling peckish by then! I’ll talk a bit more about this at the meeting, but we will be electing ordinary board members in a few weeks time on 7th October. Have a think about if you want to stand for a position (there are two OB positions available), as you’ll be expected to say briefly why people should vote for you. Don’t stress though, everyone is friendly! It’s a position with a flexible role, meaning you can get out of it what you want from it; and it’s good way to be more closely involved in the minutia of actually running the society. If you’re considering it but not sure and it all seems a bit nebulous don’t worry, there are a couple of weeks in which to make up your mind and well get a previous ordinary board to explain what’s involved. Short notice and reminder! 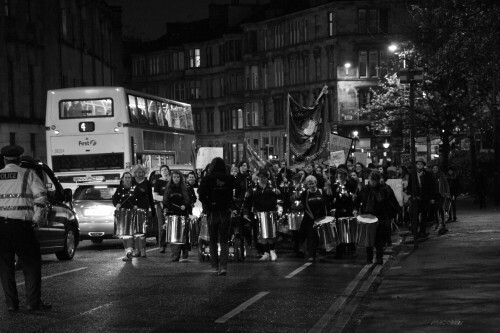 There is an activist mixer on Sunday 21st September in Curler’s Rest on Byres Road (by the subway). Invitations have gone out to a number of activist groups on campus, so there will be a mix of different groups doing good work. It’s a great opportunity to find out about what other societies are doing, and to network; we as a group tend to work with a number of familiar faces so it’s useful to meet these good folks. Come along for a bit if you’re passing and say hi. After the introductions this week we’ll be looking at campaigns on 30th. This will involve chatting about campaign suggestions and voting on what ones we want to prioritise. More details in next week’s newsletter!